This post contains affiliate links. We choose to only provide affiliate links for the products or businesses we trust and use personally. 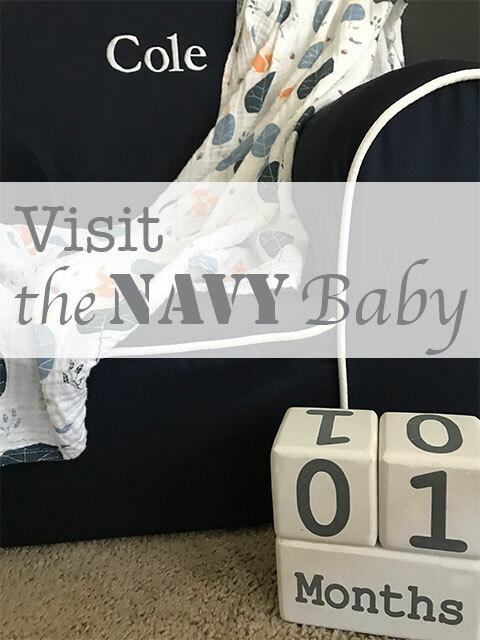 The affiliate links are provided for your convenience to recommended products and to help support the Navy Home. You can find our full disclosure here. Not sure what to do for someone you know who has lost a loved one? You’re aching to do something special for them that has real meaning, shows them you truly care, and possess the deepest sympathy during this life changing time. We know exactly how you feel. My husband and I experienced these same feelings one year ago. On this day last year, we lost a dear friend to a tragic accident when a car from the opposite direction lost control and crossed over into their lane on an undivided highway. He was one of my husbands best friends growing up, a groomsman in our wedding, and a man with the warmest smile you will ever know. 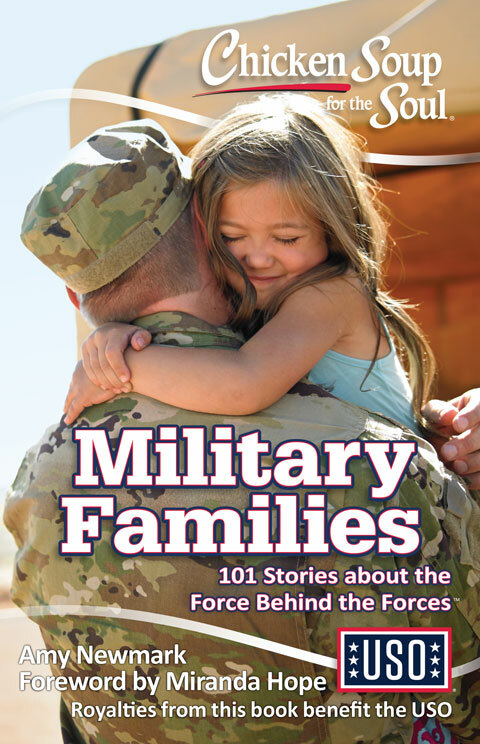 When he was called home, he left behind a beautiful wife and two precious babies. They had just welcomed their son into their then complete family only two weeks prior. The whole family was in the car at the time of the accident that left his wife in critical condition and his babies safe. When my husband called to tell me the news I remember falling to the floor and praying that God would bring his wife to full recovery, their babies needed her. This wonderful family has already lost a husband and dad; they could not lose their mom too. We had sent care packages with items for her and the babies, but we still felt that there was something more we needed to do for them. Desperately wanting to do something special for his wife, we asked her if there was anything she wanted or needed in particular. Her response was simply to share our memories of her husband to help keep his memory alive. After going through a few different ideas, I felt I had finally come up with the perfect idea; a memory box. My initial thought was to make a scrapbook, but like most scrapbooks, they end up on a shelf and pulled out on occasion. 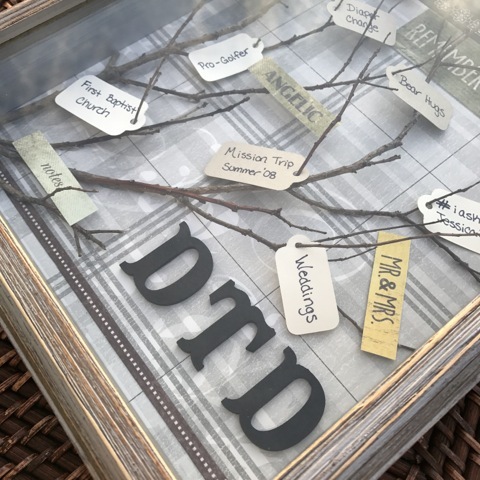 A memory box would allow for many sweet and funny moments to be on display in their home where she can reminisce in them each day and share those stories with her children. 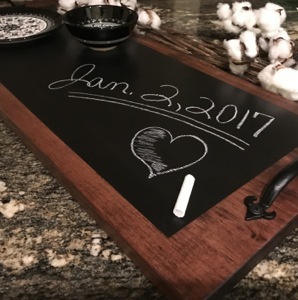 I have to admit my heart was overjoyed with how it turned out and watching his wife open our handmade gift for her and her babies. This project and The First Rose follow the same basic process: you begin with the background first and then move forward towards the glass of the shadow box. With that being said, let’s start with the background. It’s time to hit the box of scrapbook paper! I chose to go with a printed background and added detailing. The detailing was done by cutting decorative strips and phrases out of scrapbook paper. 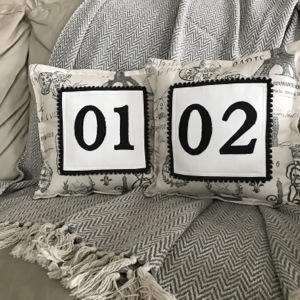 You could use pre-cut scrapbook edging or stickers as well. For these elements use a glue stick for your choice of adhesion, this will prevent any uneven or warped surfaces. Cut and glue the background paper onto the back panel of the shadow box. Next, glue and add your detailing. Lastly, I chose to add his initials in wooden letters. I painted the letters with acrylic paint and adhered them with a hot glue gun. 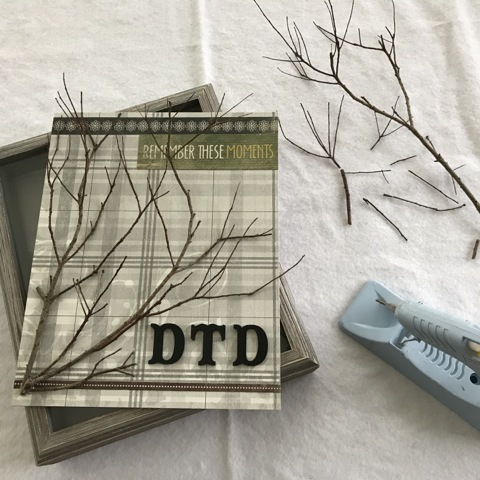 Time to venture out to the great outdoors (front yard) for some branches! 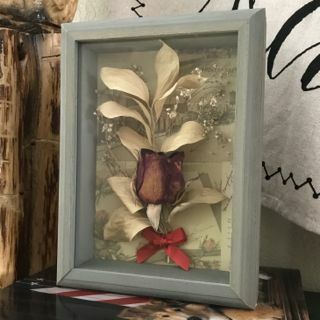 You can use branches or dried floral like I did in The First Rose. Cut and arrange your pieces of nature while making sure to test their placement does not interfere when assembling the shadow box. Use the hot glue gun when attaching these pieces to your previously assembled background panel. 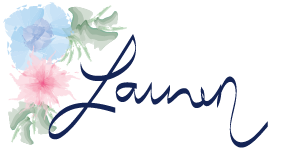 Note: If you are wanting to dry your floral, wipe off any excess water from the stems and hang them upside down for a few days until dry – I have tied mine onto a cabinet knob or clipped them onto pants hangers. 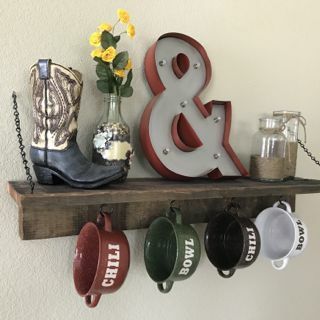 I recommend hanging them in a well-ventilated space to make sure they do not get icky, plus they will dry quicker. Keep in mind that if your floral is not completely dry when worked with, it will continue to dry over time and change color. I noticed the greenery in The First Rose became less green over time than when I first made it, but that is okay, because I actually love the way the colors work with the background! Now for the final step! For the memories, I did a combination of paper tags and descriptive words cut out from a piece of scrapbook paper. I chose two different paper colors and used my Cricut to cut out two sizes for the paper tags. 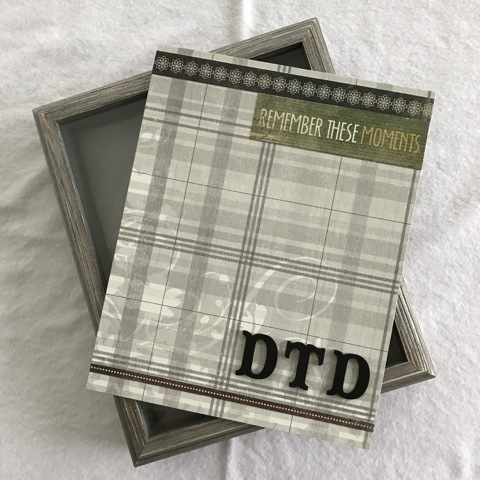 Choose your favorite memories to share, write them down, and arrange them to your liking! Use two drops of glue from the hot glue gun on each tag to adhere them to the branches; this will keep the tags in place and not move around. 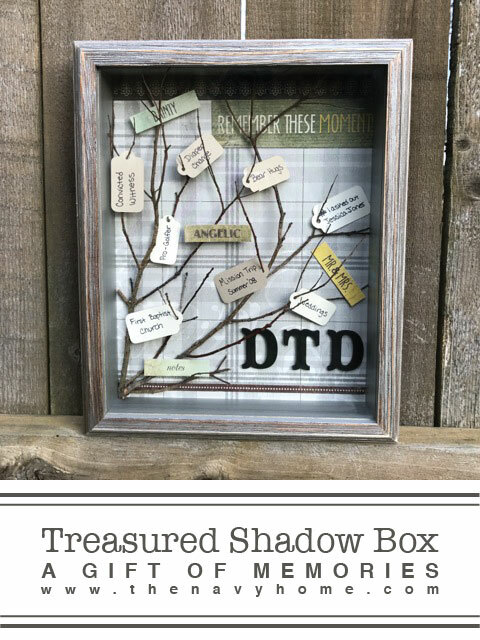 You could use this same concept to create a treasured shadow box of vacation, college, children’s sports, or life memories, etc! I hope you have found inspiration in this tutorial and can bring happiness to a loved one! Please feel free to leave comments, I would love to hear from you!